Havana native Jose Armando Gola has worked with Arturo Sandoval, Alejandro Sanz, Francisco Céspedes, Gonzalo Rubalcaba, Eldar Djangirov, Jennifer Lopez, Luis Enrique and many others. Havana, Cuba native Jose Armando Gola has played bass since age thirteen, and studied music at the Amadeo Roldan Conservatory. He plays both upright and electric bass in various settings, has toured internationally and performed at many major jazz festivals. Still only in his mid-20s, he Gola has worked with Gonzalo Rubalcaba for the past seven years. Gola has appeared on three Grammy-nominated albums by Francisco Céspedes (“Paseo”, “Codes” and “Te Acuerdas”), on Arturo Sandoval’s Grammy-winning album, “Rumba Palace”, and Alejandro Sanz’s Grammy-winning album, “El Tren De Los Momentos.” He has also appeared on albums by Hector Martignon, Eldar, Raúl Di Blasio, Felipe Lamoglia, Team V.I.P, Marisela Verena, Mayra Casales, Ignacio Berroa, Jose Conde, Gonzalo Rubalcaba, Thalía Thalia, Eckroth + Lamothe 6, and Andy Gola & Colé Colé. Also he has recording with pop singers artist's like Jennifer Lopez, Luis Enrique and many others. His first album as leader is entitled “Gola Live Things”, which features such great musicians as Tony Perez, Felipe Lamoglia, Mike Rodriguez, Rafael Solano, Ludwig Afonso, Philbert Armenteros, and William Paredes. 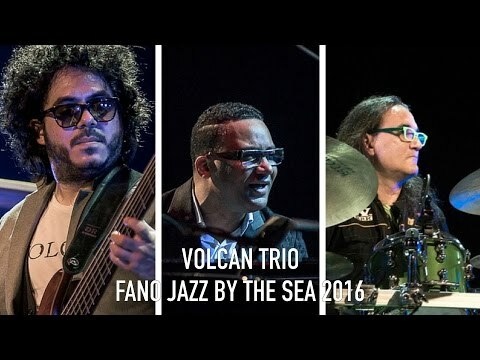 Gonzalo Rubalcaba and Ignacio Berroa appear as a special guests. "Markbass makes the most natural sounding bass amps," says Jose. "The Little Mark Tube 800 has a very interesting combination of transistors and tubes. Markbass makes the only amps where you can really hear the sound of your instrument... Brilliant."